Fish­er­men are the quin­tes­sen­tial opti­mists and dream­ers. It real­ly is as sim­ple as that. Every cast has the poten­tial to catch the biggest fish ever, the biggest fish of the sea­son, or just any old fish. One More Cast is the order of every day and of every fish­ing spot. 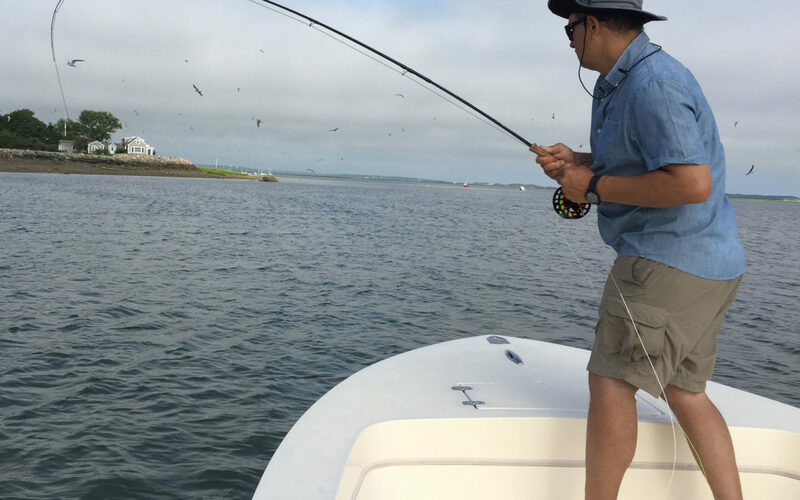 How many times have I said to my clients, “reel in, we’ve got­ta move some­where else, there’s no fish here” and BAM, fish on! Four­teen sea­sons of being a fish­ing guide makes me an expert on every­thing and/or noth­ing, depend­ing on the day. There are days when fish­ing is so easy that it almost embar­rass­ing to charge peo­ple to take them fish­ing. Then there are the oth­er days. The days when the fish are either not bit­ing, no where to be found or who knows what’s going on. I have names for some of these days, sum­mer dol­drums, wind is from the east, if only.…fortunately, one more tide, anoth­er weath­er front or a change in wind direc­tion and hap­py, jump­ing feed­ing fish return as the order of the day. This beau­ti­ful pic­ture is of one of my favorite cast­ers aboard his sail­boat. 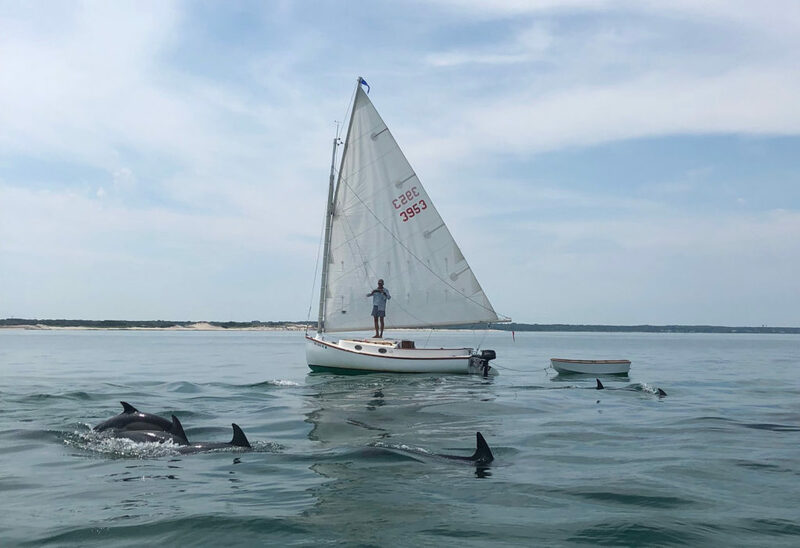 He came across this pod of beau­ti­ful dol­phins.